Augustine of Hippo is recognized as one of the most important church fathers and greatest thinkers of Christianity. While many theologians and philosophers study his work, Hildegund Müller, associate professor of classics and associate vice president for research at Notre Dame, takes a different approach to reading Augustine’s texts. 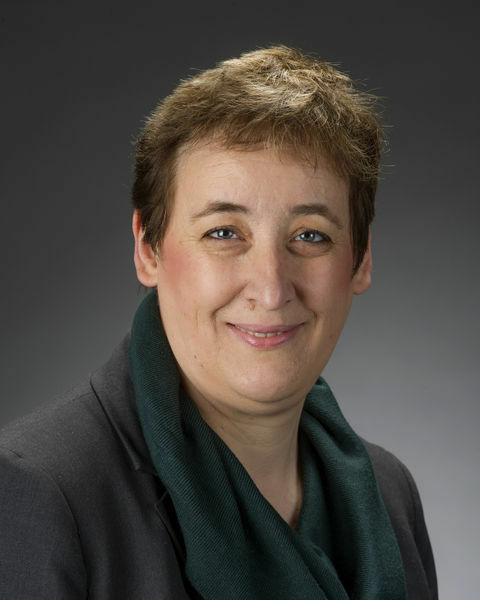 Müller’s research is influenced by her philological background and study of literary detail in texts, especially in her current project, A Reading of Augustine’s Sermons, which includes an edition of a selection of his preaching on the Psalms. Augustine lived during the 4th and 5th centuries, when education still focused on the importance of rhetoric and the skill of persuasion. Meanwhile, the Roman Empire was in the midst of embracing Christianity, making the topic of religion highly relevant and often controversial. The purpose of her research project is to provide scholars with better access to Augustine’s original words, as well as their meaning and cultural context. Müller continually considers not only what Augustine is trying to say but also what was happening around him that would influence a sermon, and how people during the time would have received and internalized his words. Understanding these pieces of information allows Müller to follow Augustine’s words as precisely and sensitively as possible and develop a close-up view of his preaching, which is understood both as a performance and a common experience. This line of thinking also helps decode possible changes that were made to the text, since over the years Augustine’s work became unintentionally diluted and corrupted as scribes copied books by hand. In her study of late ancient Latin literature, Müller regularly deals with the problem of complex literary works and their adaptations of classical traditions. Notre Dame’s Catholic tradition and available resources play a significant role in providing an encouraging environment for her research.